I had mentioned before about the accountability swap I’m doing with my friend Meg. We were both absolutely swamped the last couple of weeks so it ended up falling off the radar, but we’re getting back at it. 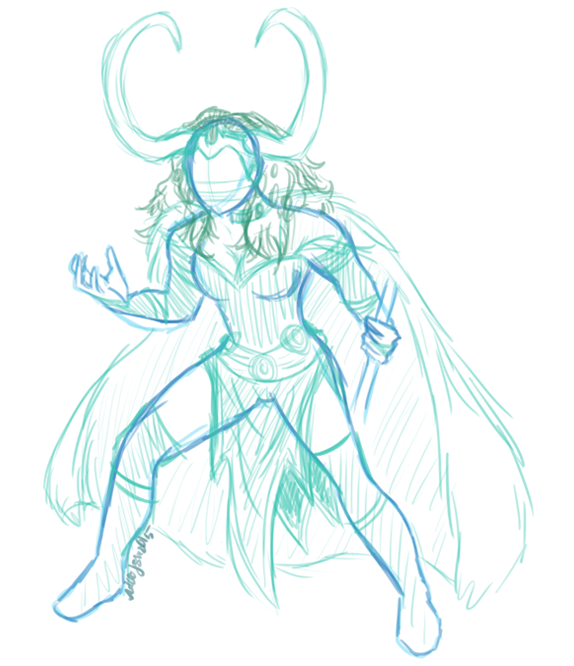 Our last topic was the Avengers (Meg’s choice) so I decided to do Lady Loki. Here’s the work in progress of it. One of the things I’m hoping to get out of this project is to work on my anatomy skills and attempt to draw some more dynamic poses and more realistic styles. I felt like doing a super hero was the perfect time to try to push myself on both of these things. I’m somewhat happy with it, though I’m definitely still struggling with anatomy. I used a comic book reference of Loki himself for the pose. One thing this is teaching me though is that I’d really like to start going to figure drawing classes again. I think it’d be a good reminder on how the human body works and moves. What this overall exercise is also teaching me is that I really need to start actively making more time to draw. It’s so easy to let work overrun everything and then just climb into bed and ignore the rest of the day. I have a full-time 9-5 job and a part-time job on weekends (and some evenings), so drawing tends to be the first thing that falls to the wayside. But when I make myself actually sit down and be creative and force myself to set aside time, I always feel better. There’s a certain zen to drawing that I don’t feel with anything else and so I’m thankful that this accountability is there. Kickstarter! 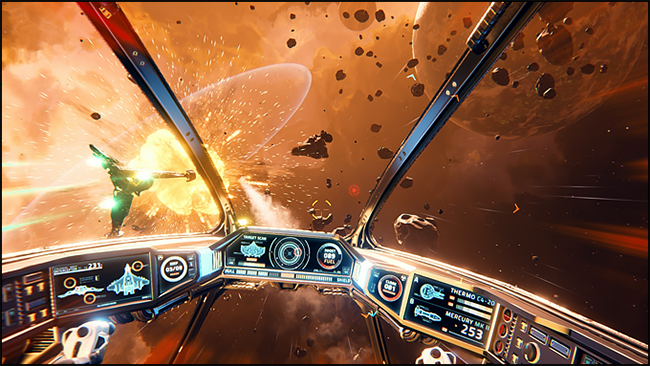 Everspace by Rockfish Games is the Deep Space Game of your Dreams! YOU GUYS. 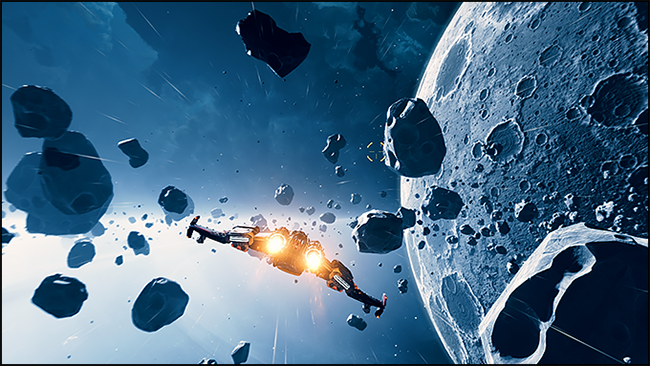 I’m stoked up this upcoming game called Everspace by Rockfish Games (the folks who brought to you Galaxy on Fire). It’s a single-player 3D space shooter with rogue-like elements and non-linear storytelling – and it’s absolutely GORGEOUS! With nine days to go, they’ve (thankfully) already hit their goal of $244,285, but they’ve got some excellent stretch goals they’re trying to hit – like support for Mac OSX support, additional languages, and more! One of my favorite things about this game is that you can switch between first person shooter and third person. As someone who gets motion sickness easily, I can’t play FPS games as much as I would like, so knowing that I can switch to third person while playing is a total win for me in this game. Plus, did I mention just how stunning the graphics are? 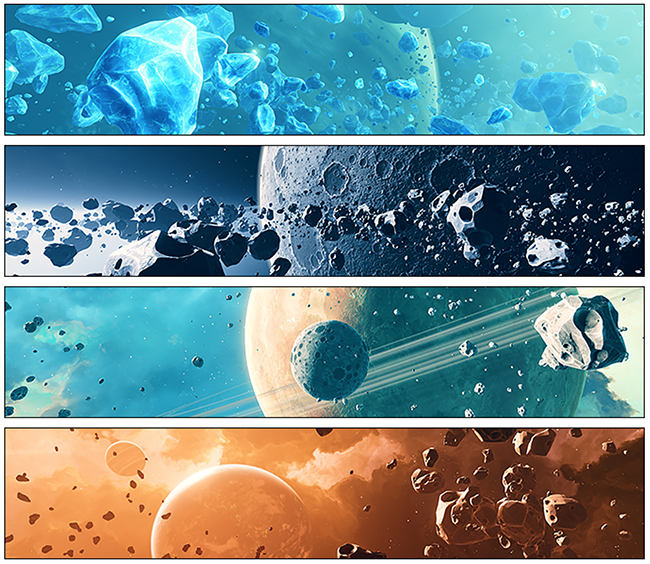 If you’re a fan of Star Wars or Mass Effect or any game that takes place in space, this looks right up your alley. I know it does mine and I’m stoked to check this out. Along with the Kickstarter, you can also check them out over on Steam where they’ve already been greenlit! Since this has already reached its goal, I’m excited to play this game in the future. Any game where I get to fly around in space has my vote! Thanks Rockfish Games! What are y’all waiting for? 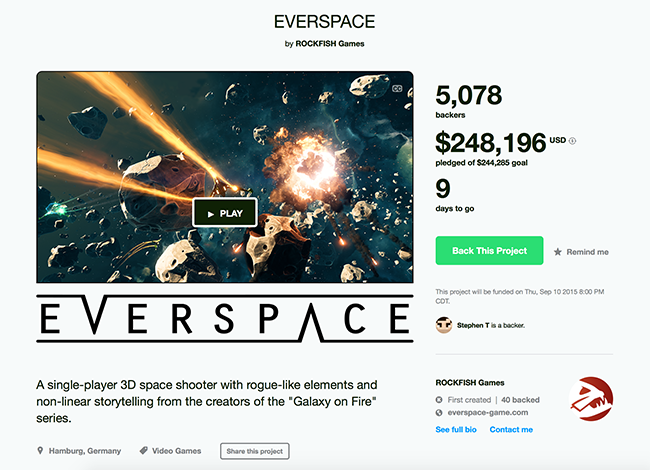 GO PLEDGE FOR EVERSPACE!